You may still be shaking your head thinking, ‘What? 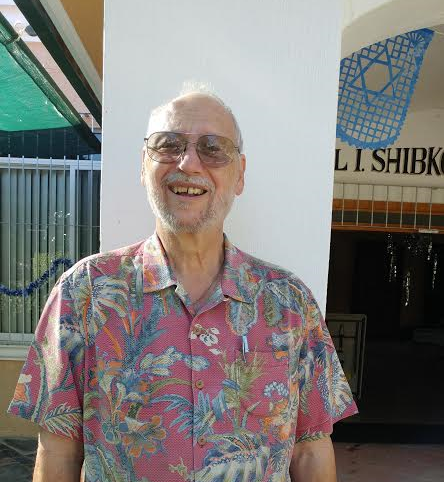 A Jewish Congregation here on Lake Chapala?” Let me give you a taste of what it’s like to participate in our Lakeside Jewish Congregation. We have weekly Shabbat services alternating between Friday Nights and Saturday Morning Services. Friday Night services feature a lot of singing and ends with a potluck dinner. Maybe you have some new tunes to share with us? We celebrate the entire cycle of annual holidays and try to make our services relevant regardless of where you are on the Jewish spectrum and use a Reconstuctionist siddur. If you are a foodie, you will love our annual Latke party with home made latkes and all the fixings. We get totally ridiculous for our Purim shpiel eat way too many homemade Hamantaschen baked by some of the fabulous cooks in our congregation. If you are from a city and afraid that it will be too boring here, let me assure you that you in for a big surprise. The synagogue sponsors a Jewish Film Festival (JFF), which raises money for several local charities. The JFF is held on eight Sunday afternoons throughout January and February. We just had our 8th annual Jewish Film Festival. Read about more of our social activities in the “Have-A- Rah-Rah!” tab on our website. Don’t be shy, there are people and Jewish activities that await you here at Lake Chapala that will enrich you as a Jew and enhance your experience here in Mexico. Call me anytime at 766.2668 to introduce yourself. We can’t wait to meet you!